Sunday: the calm before the storm. You can see the line to get in start to snake around the outside of the hotel. The short video below shows the crowd at the front just as people started to come inside. Sunday at the L.A. Pen Show lived up to everything I'd heard about it, both good and bad. First, the good, which centered around the enthusiasm of the attendees and the local pen community. You have to really care about something to put up with the "logistical challenges" presented by a pen show that only has one public day, and Sunday from 10am-5pm at that. Despite extremely long lines, uncomfortably warm temperatures (inside), and bustling crowds crammed into too-narrow aisles, nearly everyone I spoke with from behind the Vanness Pens table was patient, polite, and happy to be there, which always makes for a good "pen-show" atmosphere. Unfortunately, on the vendor side, those same "logistical challenges" are forcing many out-of-town vendors to make difficult decisions, since L.A. is effectively a one-day show. Traffic is very light on Friday and Saturday, so vendors basically have to make up the cost of the weekend, plus any profit, on Sunday. Given the cost of attending, in terms of both time and money, I got the distinct vibe that this show may be in danger of falling off the list of "major" U.S. Pen Shows. Why do I say that? Let's compare to the D.C. Pen Show, which has had its own (much-discussed) issues over the past few years. Despite the fact that the D.C. Show can also suffer from long lines, high temperatures (both inside AND outside), overcrowded ballrooms, and an iffy location, at the end of the day it's still THE BIG SHOW, and people keep coming back because (1) all the vendors are there; and (2) the vendors are there because the show is profitable enough to justify the expense. [Note: I’m not trying to reduce everything to money, but at the end of the day, it sets a baseline. Most vendors can’t keep attending if they lose money every year on the show.] When a pen show is open to the public for just a single day, and that single day is Sunday as opposed to Saturday, it severely limits the number of non-trader/exhibitor attendees. While someone planning to attend a pen show for a three-day mini-vacation might gladly spend $50+ for a “weekend trader” pass (as opposed to $8 for Sunday admission), someone who’s only able to go for a single day probably will not do so. One big plus for Sunday: Joey Feldman arrives to help manage the rush behind the Vanness Table, and to sign his show special notebooks! The “show special” notebooks available at the Vanness Pens Table: a collaboration between Joey Feldman and Curnow Bookbinding. There were also some special edition pen wraps by Rickshaw Bags, but they weren’t quite ready for the L.A. Show. Stay tuned and hopefully they will be available in Baltimore. A big bright spot, however, was the quality of the hotel and the space itself (other than size). The show had some of the best light of any pen show I’ve attended. That said, the decision to move the show to a downstairs ballroom caused problems, including views and traffic flows being obstructed by concrete columns, “dead ends” where people got stuck, and where some vendors were effectively hidden. For example, I had no idea Tactile Turn was at the show until Will posted a photo on Instagram after I was already back in Nashville, and I could have sworn that I walked by every booth at that show multiple times! I failed spectacularly at my stated goal of not buying anything. From left, a Desiderata Pens Soubriquet; a Platinum 3776 Celluloid “Karakusa” from Anderson Pens, and a vintage Aurora 88 with the “Nikargenta” cap. On the latter pen, I’ve been looking for one of those for years, but hadn’t ever spotted one without significant dents and dings in the cap. I also picked up a couple of samples of ink from Straits Pens (more on that below). How the L.A. Pen Show organizers respond to this year's event will likely determine whether this show remains a truly “international” pen show, or evolves into more of a regional event. In order for this show to be successful - and I define success in terms of both the promoter AND vendors being able to make money, while at the same time delivering a worthwhile experience to attendees - I personally think that the show needs to open to the public on Saturday and assign vendors permanent tables for all three days (Friday-Sunday) to allow them to fully set up. Of course, people have been saying this about the L.A. Show for years, and here we are. 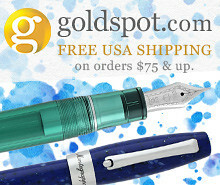 Classic Fountain Pens a/k/a Nibs.com. From what I understand, John Mottishaw used to be a regular on the pen show circuit, but has since limited his travel to Los Angeles and San Francisco (though a few of his employees did travel to the D.C. Pen Show a few years back when it was still at the old location. One word: Nakayas! Eboya. The Japanese Ebonite specialists. I didn’t have a lot of time (or money) to spend at their table, but Eboya brought some absolutely beautiful polished ebonite pens. I’ve flagged Eboya for a possible purchase later this year. Stylo Art Karuizawa. Purveyors of gorgeous urushi and maki-e pens, including lacquered wood pens featuring nibs from Pilot, Sailor, and Platinum. They also remain on my list for a possible purchase, but since the pens are quite expensive I’m holding out for the perfect one. One Star Leather Goods. 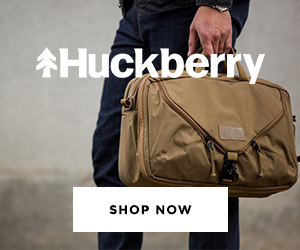 Makers of high-quality, custom-made leather goods. I’m a big fan of Keegan’s work, and he sets up on Sundays, and sometimes Saturdays, at the L.A. Pen Show. He made me a custom leather cover for my Baron Fig Confidant, which I love and previously reviewed here. Tactile Turn. Most readers of this blog should be familiar with Will Hodges and his machined pens. Much to my surprise (and dismay that I didn’t get a chance to visit with him), Will was at the L.A. Pen Show and may be attending San Francisco. Straits Pens. Part of my pen show haul was a bottle of “Poor Man’s Sapphire,” which Sunny brought with him from Singapore. I’m loving this ink so far, and you should look for a review soon. I had the opportunity to meet all sorts of other new people whom I had never met before, but most of my interactions took place on the show floor. The after-hours bar scene wasn’t as vibrant in L.A. as it is at other shows I attend, though the newly renovated hotel has a pretty good setup with long high-top tables, attentive bartenders, and a bright and airy space. We managed to get the Vanness “Ink Van” loaded in just over an hour! As I might have mentioned, I’m making an effort to branch out and visit as many new pen shows as possible this year. L.A. was my first adventure, and I’m certainly glad I made the trip out to the West Coast. It was great to see familiar faces, and also to meet many readers for the first time, in person! For all its “quirks,” the Los Angeles Pen Show offers a unique opportunity to visit vendors who don’t appear elsewhere. 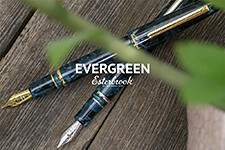 The main question for me is how long these vendors (and even attendees) will continue to visit this show, especially with the rise of the growing San Francisco Pen Show which has earned rave reviews in recent years. Next up for me is the Baltimore Pen Show in less than two weeks! See you there! Disclaimer: All observations and opinions expressed herein are my own, drawn from personal experience working behind the Vanness Pens table in both L.A. and D.C., and from conversations I had at the show with many different vendors, manufacturers, distributors, and attendees. This post contains links to paid sponsors and affiliates. Fountain pen manufacturers introduced ink cartridges as a way to counteract the threat posed by ballpoints, which had offered a less messy way to refill a pen by eliminating the possibility of knocking over an ink bottle, dripping ink on your clothes, etc. Eventually, the “cartridge/converter” filling system became the default, with most modern fountain pens shipping with a sample ink cartridge alongside a converter that you can use to fill from an ink bottle (though lately many companies have been omitting the converter altogether, forcing you to buy it separately). They take up no space and are easy to change on the go. When you’re on the road, it’s quite easy to grab a matchbox-sized pack of Kaweco cartridges and stick it in your briefcase, as opposed to sealing an ink bottle in a plastic bag and worrying about leaks, breakage, and TSA inspections, among other things. Cartridge inks are typically safe and low-maintenance. A general rule of thumb is that if an ink is made by a pen company (especially one that makes expensive pens), it’s probably safe to use in most, if not all fountain pens. With a few exceptions, most widely-available ink cartridges are made by pen companies because they need to have a refill to include in the box with a newly purchased pen. If you use ink cartridges made by the same company that manufactured your pen, I can almost guarantee you there won’t be a problem, and if there is the pen company will have to make it right. Cartridges are inexpensive. Sure, on a “per milliliter” basis, ink bottles offer you the best bang for your buck, but when was the last time you finished an entire 50ml bottle of ink? If you’re not someone who journals or takes extensive notes, a $4 pack of cartridges might last you a very long time, even though you’re “paying more” for the ink itself. Cartridges lack variety. While companies like Diamine, J. Herbin, and Monteverde release many of their inks in cartridge form, for the most part the range of colors available in bottles dwarfs the selection available in cartridges. Difficulty cleaning and changing colors. Cartridges are convenient if you’re traveling and don’t mind using only a single color of ink for a few days to a week. If you’re a serial color-changer, however, cartridges can be a bit of a pain because there’s no easy way to flush the pen in-between ink swaps, unless you travel with a converter or bulb syringe. You create plastic waste. One of the reasons that I’m drawn to fountain pens is because they don’t generate the large volumes of plastic waste that cheap disposable pens do. (I know it’s a drop in the bucket, but I do what I can.) Unless you refill them with a syringe and reuse, ink cartridges are thrown out once they run dry, going to the landfill along with your spent ballpoints. Nostalgia. Let’s face it. Filling a fountain pen from a cartridge simply isn’t as fun as filling from a bottle, and doesn’t give you that same “nostalgia fix” that you get from inking up a pen, knowing you’re doing it the same way that people have done it for more than 100 years. Note: Not all cartridges fit all pens. 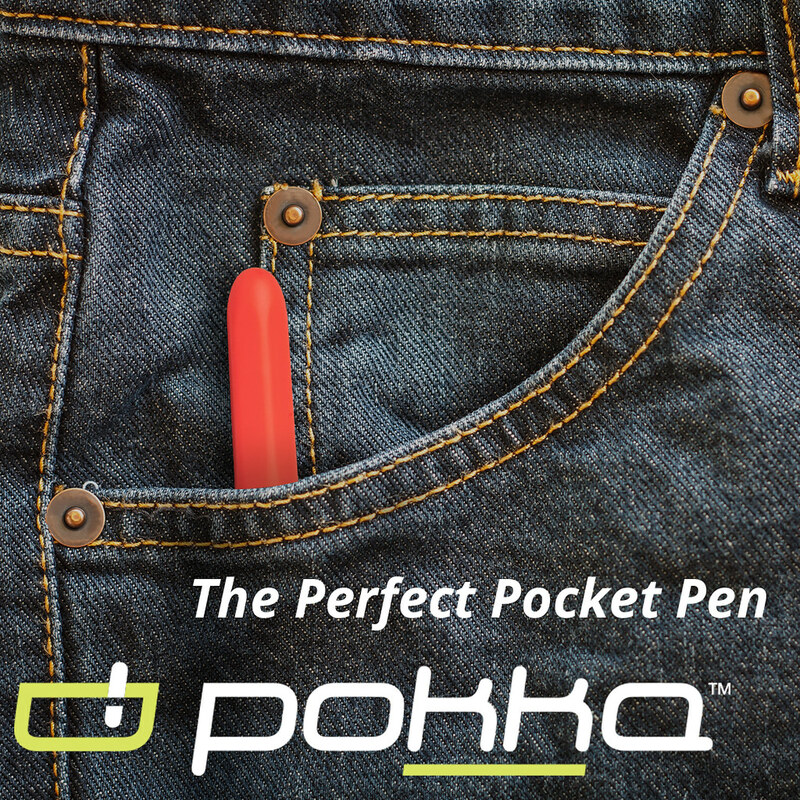 Different brands use proprietary cartridges and converters that will not fit other pens. For these pens, unfortunately, you have to purchase pen-specific cartridges, which may further limit your available ink selection and possibly require you to buy a lot of cartridges if you want to have the option available for all of your pens. Most other brands accept the standard international (generic) cartridge. Be sure to check the specifications on your pen before purchasing. Pictured here, from left, are cartridges from Lamy, Sailor, Diamine (Generic Short International), Platinum, and Pilot. To sum it up, cartridges aren’t my favorite way to ink a fountain pen, and I would never consider using them exclusively, but they do have their place. I make it a point to have a steady supply of cartridges on hand to give me options when traveling, because they make a much cheaper, easier, and less messy alternative to traveling with an ink bottle or something like a traveling inkwell. 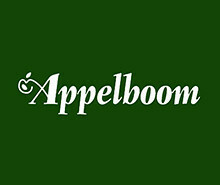 Fountain pen ink cartridges are also widely available, and most of our site sponsors keep them in stock, including Pen Chalet, Vanness Pens, Anderson Pens, Goldspot, and Appelboom. A sample of the different line widths that are possible with the Regalia Writing Labs “Epilogue” nib! NYC Trip Recap: Big Apple Pen Club, CW Pencils, & More! November has always been a huge travel month for me. In addition to the start of the holiday season here in the U.S., I typically have at least two conferences I’m required to attend, and everyone at the office seems to shift their projects into overdrive in an (often futile) effort to get them done by the end of the year. On the bright side, I get to spend a lot of time in New York, a city I love and which is chock-full of stationery enthusiasts and, increasingly, boutique stationery stores. I’ve written before on the shops I frequent, and not much has changed, other than a planned trip to the new Goods for the Study location over on West 8th Street before I take off tonight. My Musubi journal and pen case, as well as my CW Pencils package (tastefully wrapped, as always), and some Hi-Tec-C Coleto refills and .38mm Uniball Jetstreams I picked up at Kinokuniya. On this trip, however, I unintentionally timed my travel to coincide with the November meeting of the Big Apple Pen Club, a group of enthusiasts from the New York, New Jersey, and Connecticut-area who gather once a month to talk pens, share their latest finds, and even host speakers and guests from within the pen industry. Within minutes of my arrival, cases were opened, pens were on the table, and what I’d consider a mini-pen show ensued. 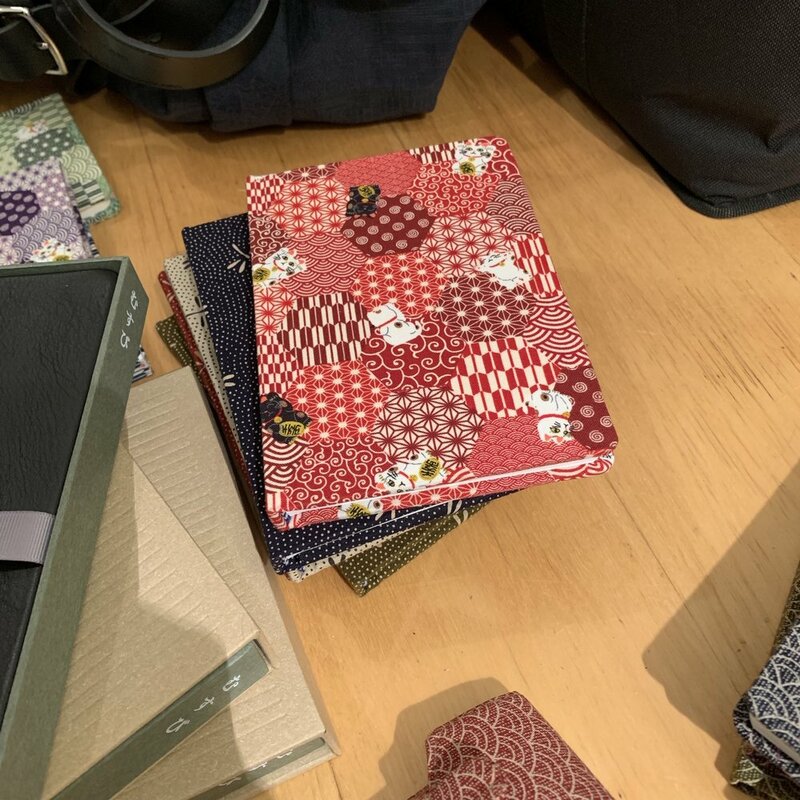 To make matters worse (for my wallet), Daryl of Atelier Musubi was visiting from Singapore, and brought a selection of his journals and pen cases made from Japanese fabrics. I purchased an “Edo” journal in the “Iroha” pattern, as well as an oversized two-pen case in the Seigaiha “wave” pattern and natural fabric. I managed to stay away from Yoshi Nakama’s hand-turned pens, because I knew that wouldn’t end well! A pair of Oldwin pens in Ebonite and Arco celluloid. The Regalia Writing Labs “Epilogue” Nib, on a unique pen from Kasama in the Philippines that Dan obtained courtesy of Leigh Reyes. I made a quick Friday night trip downtown to CW Pencil Enterprise, where I stocked up on annotation pencils I had run out of, and picked up some scratch-’n-sniff stickers for my daughter. If you’ve never visited the sticker boutique in the back, you need to! Today, I’m off to explore what else NYC has to offer, including Goods for the Study, Muji, and perhaps the Apple Store to test out the new iPad Pro and the supposedly new-and-improved Apple Pencil 2.0 I’ve heard so much about. 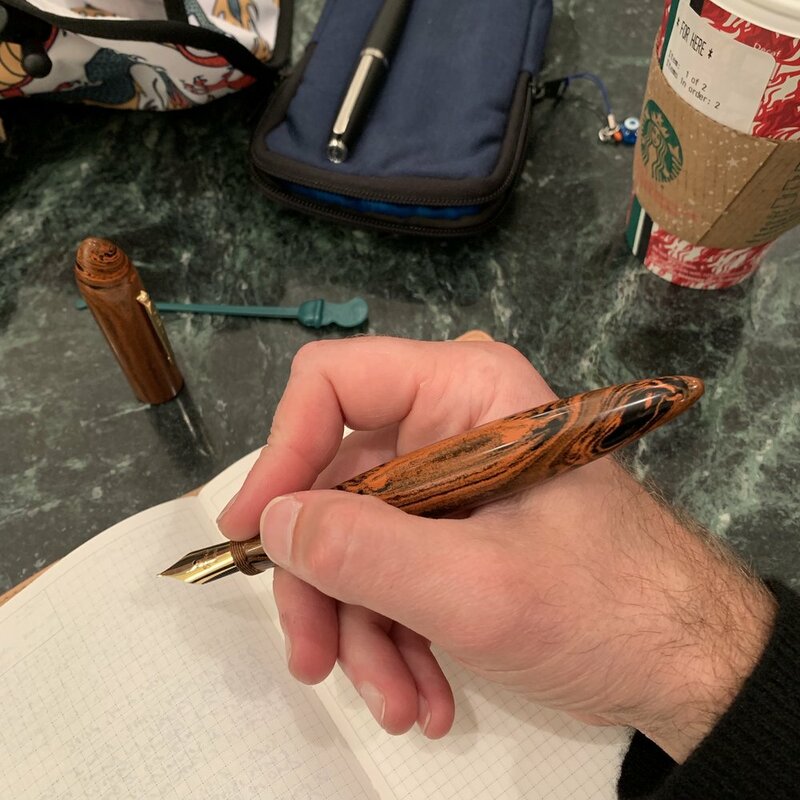 If you ever find yourself in New York City on the second Thursday of the month, consider dropping in on a meeting of the Big Apple Pen Club. As with most circles in the pen community, it’s a welcoming group, and this experience made my trip! 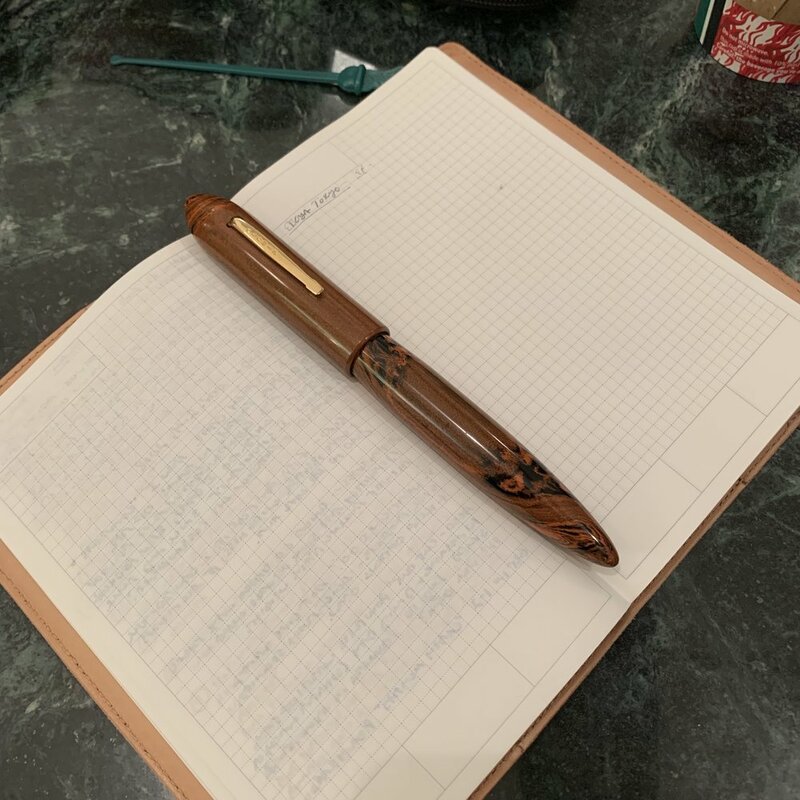 Great Pen Stores: Visit to New Orleans and Papier Plume (2018 Update). Whenever I'm in New Orleans, I make time to walk down Royal Street in the French Quarter and visit Papier Plume, one of my favorite pen shops. On this trip, the store was quite busy, though everyone was kind enough to take some time to talk and make me feel welcome! They even sent me home with some samples of upcoming inks (which I had to promise not to reveal until I get the all-clear later this spring). Stay tuned! One thing I love about Papier Plume, in addition to their excellent house-made inks, is that they stock many European pen brands that are difficult to find anywhere else in the United States, including Cleo Skribent, Faivet, and Faggionato. More on the Faggionato pens to come, since I picked up this gorgeous Petrarque fountain pen in Translucent Blue Tortoise Cellulose Acetate. Faggionato fountain pens from France. The four pens on the right are made from cellulose acetate, a celluloid variant. I purchased the Translucent Blue Tortoise pen on the right. Many thanks to Renso and everyone in the store for their hospitality, and I look forward to seeing the Papier Plume team at pen shows this year. If you're at the Arkansas Pen Show this weekend, visit their table, and l hear that they'll be attending the Atlanta and Chicago pen shows as well! You can check out my haul from last year's visit to Papier Plume here. Disclaimer: Any pens featured in this post were purchased with my own funds, for my own use. This Kanilea Mauna Kea was my main purchase at last year's BWI Pen Show. Baltimore-Washington International Pen Show (March 2-March 4, 2018). This weekend I will be attending the BWI show at its new location on the inner harbor. Hit me up if you'll be there, and I look forward to meeting as many of you as possible. This will be my third trip to Baltimore, and you can check out last year's recap here. Arkansas Pen Show (March 16-18, 2018). 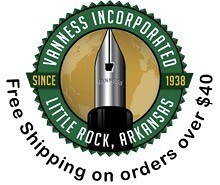 Sponsored by Vanness Pens, Shawn Newton, and Pen World Magazine, this smaller show offers the chance to visit the Vanness Pens store in person. Atlanta Pen Show (April 13-15, 2018). My "local show," since it's only a 3.5 hour drive from my house. I typically attend every year, even if only for a day. It's also the site of the live Pen Addict Podcast, which you can support here. Long Island Pen Show (April 21-22, 2018). Held on-campus at Hofstra University, the Long Island Pen Show tends to be a smaller, local event. This year, I've heard rumors that Japanese retailer Bung Box may be attending? Chicago Pen Show (May 3-May 6, 2018). 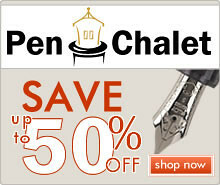 The Chicago Pen Show has been around for a while, but has grown rapidly over the past few years. 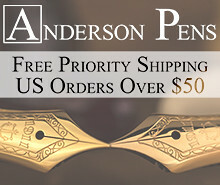 What a great excuse to visit Chicago and the new branch of Anderson Pens that will be open by that time! Triangle Pen Show (May 31-June 3, 2018). Now in its 15th year, the Triangle Pen Show is sponsored by Franklin-Christoph, Bexley Pens, and Anderson Pens, among others. Review content may be a bit thin since I'm traveling for the remainder of the week, but be on the lookout for pen show pics from Baltimore. There's so much good stuff coming out right now that I can't wait to hit the shows and see it in person. If you're on the fence, and within driving distance of a pen show, you should strongly consider attending. Though it may sound counterintuitive, attending shows and being able to see pens in person (especially vintage) as opposed to buying blind over the internet has probably saved me a lot of money over the years, even taking into account impulse purchases at shows. Hopefully I'll see many of you at one of the shows this Spring!